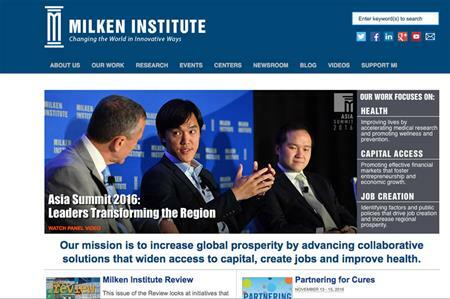 SPARK THINKING has been appointed by the Milken Institute to manage its London Summit. On December 6, the Milken Institute London Summit will convene 800 business leaders, investors, and decision makers from across Europe and around the world for a mix of moderated panel discussions, exclusive interviews, and private industry specific sessions. SPARK THINKING, part of Ashfield Meetings & Events, will provide a full service offering including event production, creative solutions, logistical and on-site support. By bringing together leaders from diverse sectors and industries, and connecting non-traditional allies, the summit aims to create an opportunity for new ideas to emerge that can drive change. A key subject of the discussions at the London Summit will be on the future of Europe after the UK referendum. Nancy McHose, associate director of events at the Milken Institute, said: "SPARK THINKING stood out throughout the process as they understood the mission of the Institute and the objectives of the London Summit. "We were given assurance and confidence in their production standards and logistical capabilities. We were also impressed with their creative ideas that will help ensure the summit environment, branding and staging resonates with the attendee demographic and facilitates important discussions and networking that will help amplify the value of what our network is capable of."